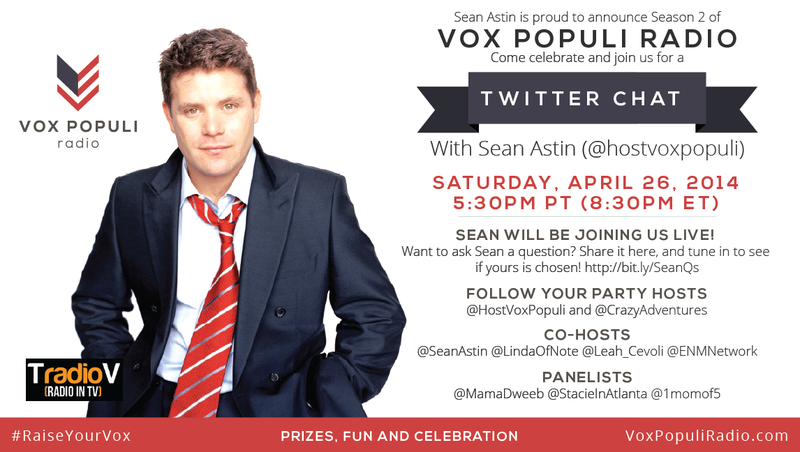 #RaiseYourVox Twitter Party Sat April the 26th!!! Come check out this awesome party on Saturday the 26th of April!! Make sure you check the times for your time zone!! I will definitely be there!! Join us for your chance to win some awesome prizes from Sean! !